Yes, as you can see from the title it's time for the 11th M&C Collabs post. And on time (almost) this time! Today we're discussing products we wish we never bought, so grab yourself a tea or something stronger (you decide, I'm minor so I'll stick to my tea) and get ready for some rants! And as always, make sure you read Cara's post after you've read mine! I'm going to start of with a foundation I recently bought. 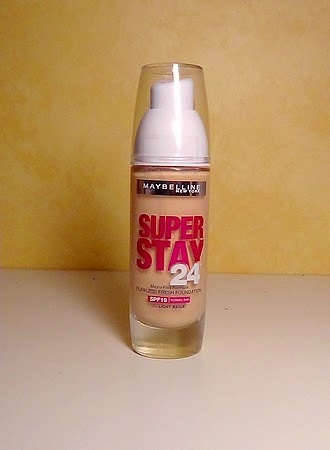 It's the Maybelline Super Stay 24 Flawless Fresh Foundation. It could be a great foundations and others might love it, but what turned me off with this foundation was the fact that whenever I had worn it my skin was breaking out. I wore this foundation on Friday and now my skin is hating me for it. I know it's not any other product I'm using because I'm using things that is all good for me (products I've used forever). This foundation was a spontangeous purchase when my skin was feeling a little bit pissed but it turns out this just made it worse. Also the fact that I paid 15€ for it and probably won't use it all up is saddening. Another turn off is that the product dries darker than the color it is in the tube. It dries orange. I'm sorry but that's not what I wanted in a product. I don't know if it's just me, since I've read others reviews on this and they seem to like it fine. While the coverage is medium and I'd actually love this it's just a big no no when the product dries orange and gives me breakouts. With that said, I will not be repurchasing this one. 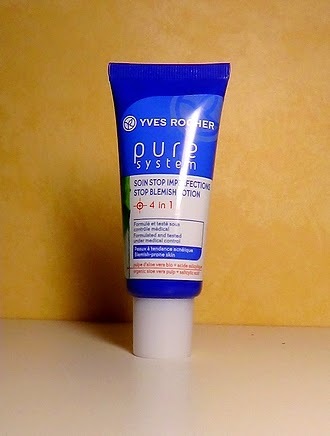 The next product I'm going to talk about is Yves Rocher Pure System Stop Blemish Lotion. It's my own fault that I don't like this product since I didn't check the ingredients. I've learnt that I can't use anything on my face that has perfume in it, and look at that, this product has perfume in it. Great job Maddie. While I love Yves Rocher and all the products I've tried from them I just can not use this product because it includes perfume. Side note; why put perfume in a product that is supposed to stop blemishes? I don't get it. Oh well. I do however recommend any other Yves Rocher product, but don't make the same mistake I did and not check the ingredients! This next product is also in this post because of my own stupidity. 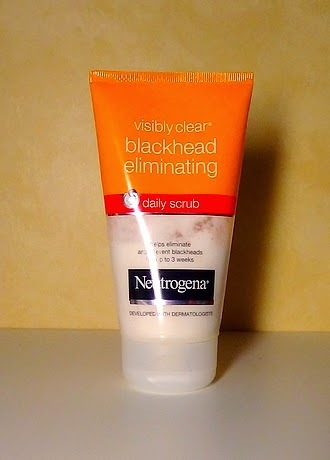 The product I'm talking about is Neutrogena Visibly Clear Blackhead Eliminating Daily Scrub. Again, I didn't check the ingredients and then it turns out this includes perfume. So when I used it it broke me out. God damnit. You would think I would've learnt by now. But no. Another reason I won't be purchasing this again is because it claims it (and I quote) "helps eliminate and prevent blackheads for up to 3 weeks". It does not do that. While I'm sure it's a great daily scrub to clean your face, it does not in any way eliminate and prevent blackheads. No way. So don't buy this in hopes it will do that. But if you're looking for a good daily scrub and you can deal with perfume, then sure, try this out! Who knows, maybe it will work on you? 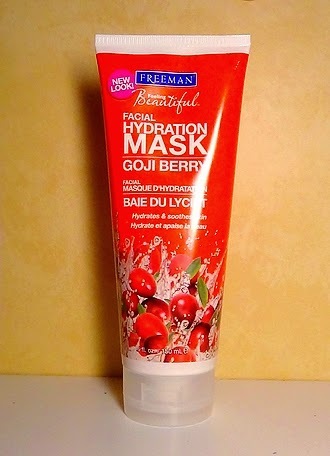 The last product I'm going to talk about is Freeman Feeling Beautiful Facial Hydration Mask with Goji Berry. While this product is actually good and somewhat does what it promises to do I just forget I have it. First of all it's such a big tube that I can't believe I forget I have it, but second I just don't like the consistensy of the product. I like masks that dry on my face, and this does NOT dry. I don't think it's supposed to dry but the consistensy of the product is a huge turn off for me. I understand why it feels how it feels since it includes mostly water. Yes, water. And oh, brace yourselves, it includes perfume too (great job Maddie). Oh well, if you want a hydrating mask then this is your tube, but please feel the consistensy of it first so you don't spend money on it and then turns out you won't be using it! Also, beware that you might be allergic to some of the ingredients... Okay I take all I've said back, I do not recommend this product! Wow, I feel a lot better now that I've got that off my chest! Now go check Cara's post to see what other products you shouldn't purchase! And here's her little message to you all: IT'S CHRISTMAS WHOOO! I hope you all are excited, I know I am. I hope you've really loved this post, Maddie and I enjoyed writing it! I hope you guys enjoyed this blogpost and remember to read my Blogmas posts, coming up all throughout this month from Monday - Friday! I never get why they put perfume in a face wash either! I'd rather it smelt bad but did an amazing job! I use African black soap to keep my skin clear (amongst other products) and it's really basic, only about three ingredients and not one is perfume!